"At an early age, children are weaned on the marvelous, and later on they fail to retain a sufficient virginity of mind to enjoy fairy tales," Andre Breton wrote in 1924. "There are fairy tales to be written for adults," he continued. "Fairy tales almost blue." Violet flowers are often described as "almost-blue," which is how this color was chosen. 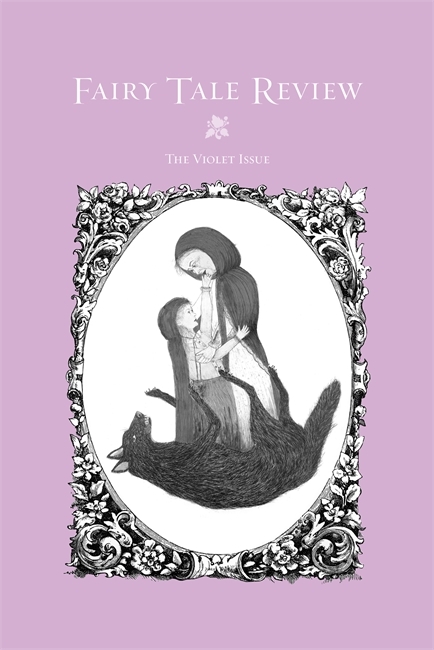 This issue of Fairy Tale Review focuses on fairy tales for adults.